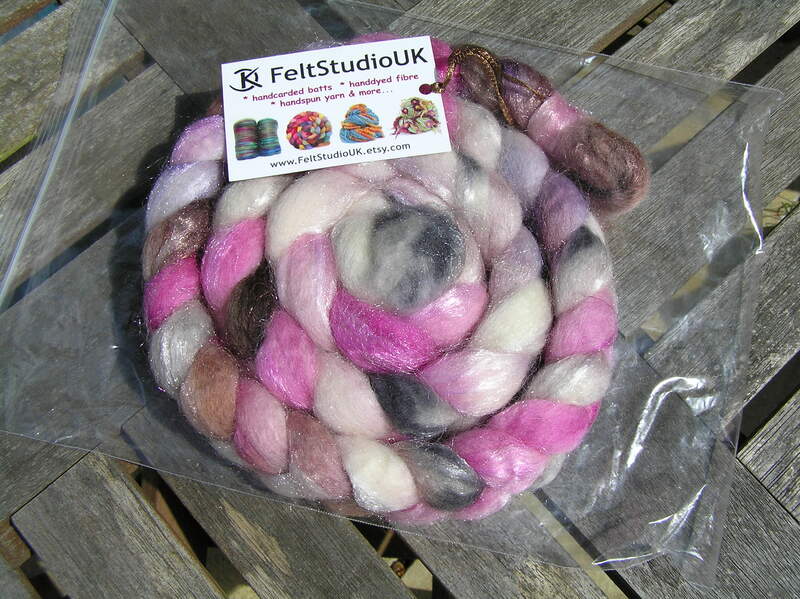 Here’s some lovely fibre that arrived this morning – so lovely I had to start on it today and have spun about 25 g already. It’s from FeltstudioUK on Etsy – you can see how it sparkles in the sunshine. I’m planning on making socks from it, but it depends how much yardage I get. It’s pretty – maybe too pretty for socks that won’t be seen – but I don’t mind having secret fancy socks! This entry was posted in Spinning and tagged Fibre, Roving, Spinning. Bookmark the permalink.